Happy belated Canada Day! The boy + I decided to chase the sun this past long weekend + found ourselves at the cabin in beautiful Fintry. From daily hikes up the Falls with the puppy to paddling across the lake to sleeping in the gazebo + falling asleep to the lapping lake waves, it was total paradise. And who wants to leave paradise?! 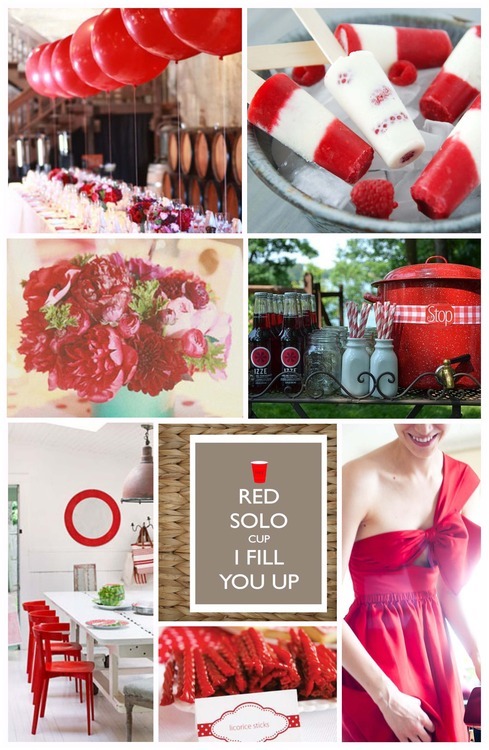 In honor of our beautiful country’s birthday, I dedicate this post to Canada’s beautiful color - RED HOT RED! The color of love for all mankind, red has this way of providing the perfect amount of pop to draw any eye. From the perfect party dress to our favorite red seasonal berries, there’s a ton of red to go around so no need to use sparingly!